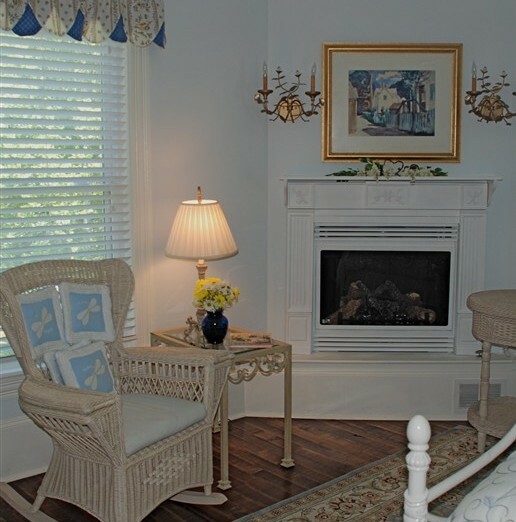 The Creek View Room welcomes its guests to the beauty and romance of blue and white mixed with a touch of gold. The pillow top mattress king bed, fireplace, private bath is the perfect choice for those who want a peaceful and quiet getaway. Dimmed lighting from the sconces over the fireplace and the air jetted bath will help any guest to relax and leave the cares of the world far behind.